We all know the sayings “A gut feeling”, “trust your gut” and “it’s gut check time”, however, the latest research is showing that they far more than just sayings and are actually something very real. That’s because our guts are literally a ‘2nd brain’, with their own nervous system – the enteric nervous system or ENS, which consists of millions of neurones, and a super highway of chemicals and hormones that provide a constant stream of information between our guts and our brains. We now know the information passed via our enteric nervous systems, as well as gut hormones and chemicals to the brain is directly related to the 40 trillion bacteria that live there. Research also shows there are significant differences in the gut bacteria between people struggling with depression and other mental health issues, and those who don’t. This new knowledge has created a completely new way of looking at mental health issues. The connection between the gut and the brain was first reported over 100 years ago by Elie Metchnikoff, a French Nobel Prize winning scientist who became famous for purposely drinking water containing cholera bacteria and surviving. He did it to prove what he believed, and demonstrate that the strength of immune system differed between people, and that what infected one person might not infect another. Part of his belief was also that all areas of the body were connected, and medical treatment should look at the body as a whole rather than treating the symptoms in just the problem area. He reported that strengthening the gut bacteria by eating fermented foods could improve all areas of health, as well as warding off dementia and degeneration in the brain as people age. This work made him the first person to develop the concept of probiotics. Elie Metchnikoff, I wouldn’t be keen on letting him buy the drinks! His arguments for a whole body approach to medicine, however, lost popularity after his death, and for the next 80 years or so medicine focused on specialization, where doctors worked in specific areas that tended not to mix. For example, a gastroenterologist would just focus on the gastrointestinal tract and the liver, and a neuroscientist would just focus on the brain without considering how one could affect the other. It created a top down treatment program for mental health conditions where modern pharmaceutical treatments such as antidepressants or benzodiazepines (tranqulizers) just focused on treating the brain. However, in more recent years the focus of research has started to change after studies found a definite connection between our gut bacteria and depression and anxiety. Canadian researchers at McMaster University studying mice found that they could make them either nervous or calm, and either happy or depressed based on antibiotics drugs they gave them which altered their gut bacteria, (also known as the micro-biome). Now you might be asking how can we know whether a mouse is depressed? Well actually it’s not as ridiculous as it might first seem. Mice actually share a lot of genetic traits with us, they are also similar to us in some of their behaviours in that they are very social and curious animals. Mice like to hang out with other mice, so when they don’t, or their social behaviour changes it’s very obvious. It’s just like in humans where depression is so often associated with sufferers withdrawing socially, mice do as well. Researchers can also judge anxiety levels by introducing mice to new playmates, toys or areas to explore and seeing how quickly, or if at all, they take to them. Because of this it was easy for the researchers to see how much changing mice micro-biomes’ changed their behaviour. Further experiments at McMaster University looked specifically at anxiety by studying mice that had been bred genetically to have eit her timid or adventurous traits. They transplanted the microbiome from the adventurous mice to the timid ones and found that over time the timid mice became more confident (1). They also cross-referenced these behavioural observations with lab tests. The researchers increased the amount of bad bacteria in the digestive tracts of the mice and tested them. They found decreased levels of a hormone called BDNF, which is basically growth hormone for the brain, as well as decreased numbers of 5-HT, which are serotonin receptors in the brain. The tests showed that by changing the microbiome of the mice they were less able to grow new brain cells, and also less able to feel the effects of the ‘happy’ neurotransmitter serotonin. The research coined a new phrase – the ‘Gut-Brain Axis’ – an imaginary line between our brain and gut that has a very real biological impact. Probiotics and Mental Health – How Does The Gut/Brain Axis Work? Normally the gut and brain maintain a happy medium, however, when things get out of balance and the body comes under stress the gut and the brain can get out of balance too. This stress can come in many forms, psychological stress in our modern world of busyness is everywhere. Financial pressures, job pressures traumatic life events and other life stresses have a very real impact on the body and can change our gut bacteria. Physiological stresses are also a real threat to our guts. Pollution, unnatural diets full of processed food, and a lack of fermented foods that would have been a natural part of our diets for the whole of our evolution, anti-biotic treatments as well pesticides, chemicals and other drugs use both prescription and not, as well and smoking and alcohol can all have a negative effect on our guts. The immune system activation produces molecules called cytokines which tell other cells to produce an inflammatory response. For example, when cytokines signal to the brain, it can respond by producing stress hormones such as cortisol. The immune system can also be triggered to produce inflammation when microbiome changes cause the intestinal epithelium (the barrier between the gut and the rest of the body) to become full of tiny holes or openings (known as leaky gut). This can allow toxic molecules called Lipopolysaccharides (LPS) to leak through the gut wall. These LPS molecules live in the cell membranes of our gut bacteria, and are released when they die. Normally there leave the body safely through our guts when we defecate. However, when a leaky gut allows them into our body it causes a strong inflammatory response from the immune system. If the changes in the microbiota are great enough, inflammation can also cause changes in the blood brain barrier. The blood brain barrier is the membrane that separates the blood from the fluids of the brain. The barrier normally only lets certain very select molecules pass through it, but inflammation can cause it to become more permeable allowing molecules to enter that shouldn’t be there, and which can be toxic to the cells of our brains. This prevents our brains making new nerve connections, so we struggle to learn and develop and leaves us stuck in negative behaviour patterns (5). The second way our guts can affect our brains is through the Vagus nerve. The Vagus Nerve is the longest nerve in the body that comes out of the brain and runs all the way to the gut, controlling the heart, lungs and digestive tract. When there is an imbalance in our gut, the vagus nerve can signal to the brain and cause an inflammatory response. It can also cause the brain to release of stress hormones around the body, and within the brain itself. These hormones can affect areas of the brain responsible for decision making, anger and fear, such as the prefrontal cortex and the limbic system. The Vagus nerve also has receptors for the cytokines produced by the immune system, and is another pathway by which inflammation in the body is signalled to the brain. The final way the gut affects how we feel is through the production of neurotransmitters. The bacteria of our guts make the neurotransmitters Serotonin, GABA, Dopamine and Norepinephrine. 80% – 90% of the bodies serotonin is produced in the gut and serotonin is our feel good chemical, and the neurotransmitter that is target by SSRI (Selective Serotonin Reuptake Inhibitors) antidepressants such as Venelaflaxine, Sertraline and Prozac. The neurotransmitter GABA is our natural relaxant, the one that chills us out. When people take Benzodiazepine drugs such as Valium, they target GABA receptors to produce a feeling of calm. Dopamine gives us motivation in life – the drive to get out of bed in the morning, as well as feelings of pleasure and reward, such as when you are just sitting down to a lovely meal, or you’ve just received a pay rise at work. Norepinephrine on the other hand stimulates the ‘flight or fight’ or stress response. So when problems in our gut negatively affect these neurotransmitters by either increasing or decreasing their production, it can have a powerful affect on our mental health. The good news is the latest research is showing that these changes in the gut bacteria caused by stress, and the body’s reaction to them, can be reversed with probiotics or fermented foods. The research on humans is still in the early stages, and scientists don’t have the same freedom with humans as they do with mice, you can’t genetically engineer a human to have a certain gut microbiota. However, the initial studies have produced some exciting results. For example, a study in published in March of this year in the journal Nutrition, looked at people suffering from MDD (major depressive disorder). They gave half the study’s participants probiotics and half a placebo, and measured depression scores at the end of 8 weeks as well as insulin levels and inflammation levels, (measured by a blood marker called C-reactive protein). They found that after the 8 week period the people that took the probiotics had significantly reduced depression scores, as well as lower insulin levels, and less inflammation throughout the body than those that took the placebo (6). Dutch researchers have also suggested probiotics for infants can help to rectify the damage done to their microbiome when they are born to mothers who experienced high levels of stress during their pregnancy (2). An earlier study in 2011 published in the wonderfully named journal Gut Microbes, found that just 2 weeks of probiotics could reduce symptoms of depression and anxiety, as well as reducing levels of the stress hormone cortisol (7). Also a 2015 study from the College of William and Mary and published in the journal Psychiatry Research looked into dietary patterns of 700 students and found that those who ate more fermented foods suffered less social anxiety (8). Best Probiotic For Depression and Best Probiotic For Anxiety? So whilst the research is looking very promising, it’s equally important to choose a high quality probiotic. Not all probiotics are the same, with many low quality brands on the market. 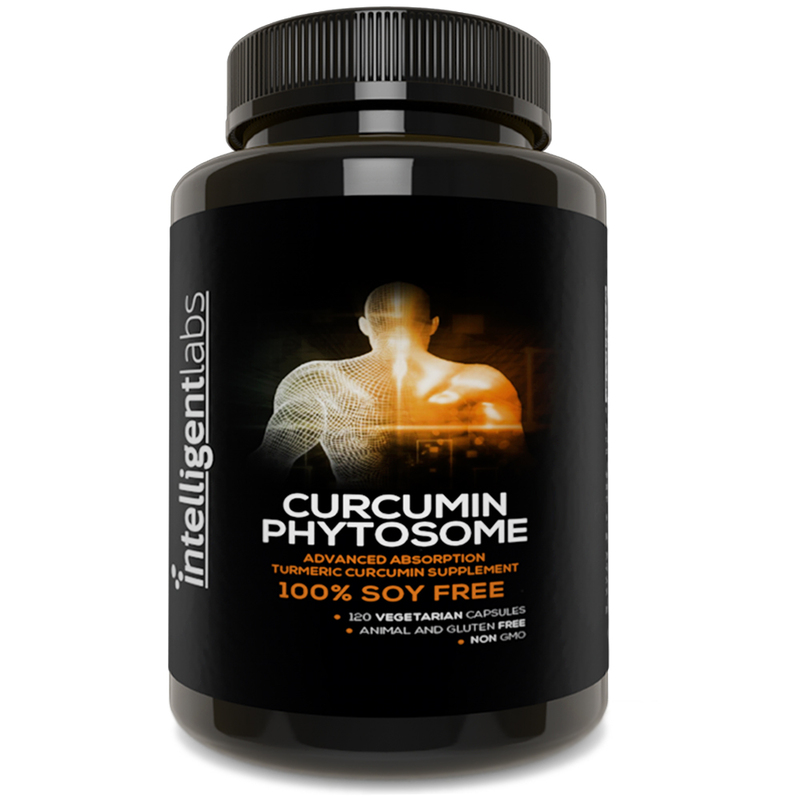 Look out for strong probiotics (50 billion CFU per capsule), which are multi strain, with at least 5 billion CFU per strain (so 10 strains in a 50 billion CFU capsule). It’s also important to find probiotic companies that use patented strains that are acid and heat resistant, so they won’t die off in the bottle, or in your stomach before they reach the gut. That means looking for a number listed after the strain, for example, Bifidobacterium longum BI-05. The BI-05 is the specific research backed strain. If there is no number listed after the strain then the company is likely using cheap generic strains without proven general health and mental health benefits, and should be avoided. Companies that suggest storing their Probiotics in the refrigerator is also another warning sign. Patented heat resistant strains don’t require this, and during warehouse storage and transportation the probiotics won’t be stored in refrigerators, so it’s likely that many of the bacteria will have died off by the time they reach you. Also look for a probiotics that comes with prebiotics (which are food for probiotics to ensure more good bacteria reaches you gut alive). 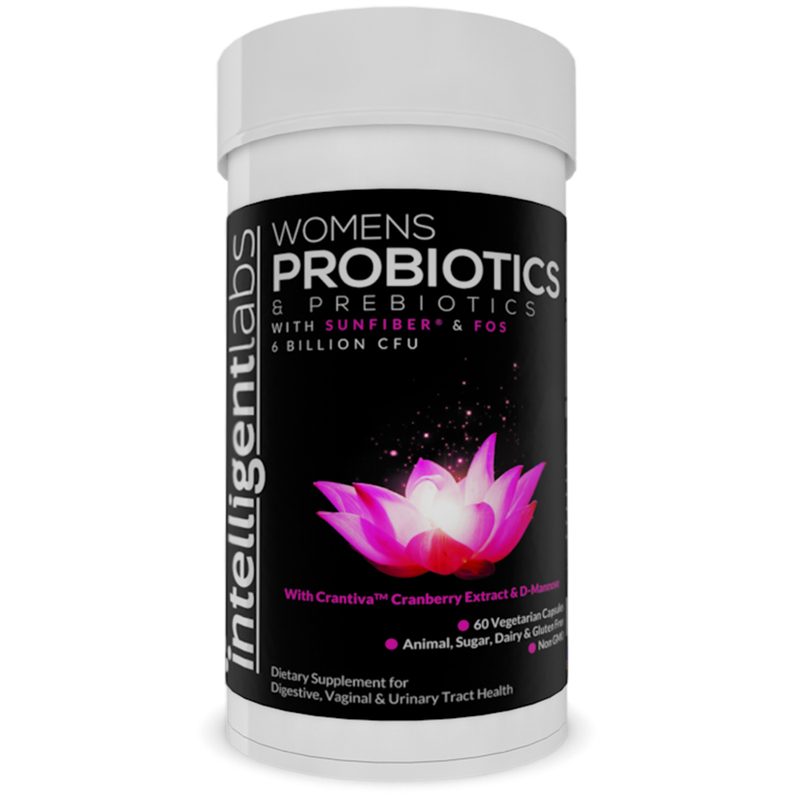 To see an example of a very strong multi strain patented brand probiotic that contains many of the strains that are active against depression and anxiety, and also comes with prebiotics please Click Here. (2) Zijlmans M, Korpela K & Riksen-Walraven JM (2015). Maternal prenatal stress is associated with the infant intestinal microbiota.Psychoneuroendocrinology. 53:233-45. (4) Miller AH, Raison CL. The role of inflammation in depression: from evolutionary imperative to modern treatment target. Nat Rev Immunol. 2016;16:22–34. This study outlines the current evidence for inflammation in the etiology and pathophysiology of depression and the rationale for anti-inflammatory and immunoregulatory approaches to treatment of depression. (5) Braniste V, Al-Asmakh M, Kowal C, Anuar F, Abbaspour A, Tóth M, Korecka A, Bakocevic N, Ng LG, Kundu P, Gulyás B, Halldin C, Hultenby K, Nilsson H, Hebert H, Volpe BT, Diamond B, Pettersson S11. The gut microbiota influences blood-brain barrier permeability in mice. Sci Transl Med. 2014 Nov 19;6(263):263ra158. (6) Akkasheh G, Kashani-Poor Z & Tajabadi-Ebrahimi M et al (2016). Clinical and metabolic response to probiotic administration in patients with major depressive disorder: A randomized, double-blind, placebo-controlled trial. Nutrition. Vol 32. Issue 3. PP 315–20. (7) Messaoudi M, Violle N, & Bisson JF et al. (2011) Beneficial psychological effects of a probiotic formulation (Lactobacillus helveticus R0052 and Bifidobacterium longum R0175) in healthy human volunteers, Gut Microbes, 2:4, 256-261. (9) Steenbergen L, Sellaro R, & van Hemert et al. (2015). A randomized controlled trial to test the effect of multispecies probiotics on cognitive reactivity to sad mood. Brain, Behavior, and Immunity. Vol 48. PP 258–264. This entry was posted in Latest Research, Nutrition, Probiotics and tagged Anxiety., Depression, mental health, probiotics. 7 Health Foods That Just Aren’t Healthy!